Flat Rate Towing starting at $65. Click here to print coupon. Pioneer Towing Service, LLC, is a family owned and operated towing company that offers quality towing and relocation services to the Metro Atlanta, Fulton County, Cobb County, Clayton County and its surrounding areas with friendly, professional service, for over 5 years. Pioneer Towing will show up within 30 minutes to an hour or less in most cases. Your car or truck is one of your largest financial investments and having it towed for any reason can be a nerve racking experience, especially if that reason happens to be accident related. Most of us aren't exactly on a first name basis with a local tow driver and yet we have to trust someone to get our vehicle safely from point A to B. From the time you call Pioneer Towing Service, you'll be impressed by our complete professionalism. You'll speak with our friendly and courteous dispatcher who will take your information, answer all your questions, communicate with our fleet and dispatch a tow truck to arrive at your location as quickly as possible. 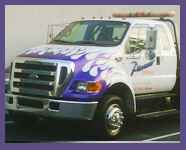 Our tow truck drivers are experienced, certified, dependable and completely professional. Each is fully licensed, maintains an impeccable safely record and has undergone extensive background checks and drug screening. Our late model tow trucks are immaculately clean, maintained in like new condition and assigned to meet the specific needs of your towing job whether large or small. Each is also equipped with latest communications and outfitted with a complete emergency equipment package so our drivers are prepared for any and all emergency conditions they might encounter. Finally, we will treat your vehicle with the upmost care during hook up and transport, and provide any special considerations necessary to ensure its safety. Call Pioneer Towing Service LLC, at (404) 304-8044 for all your roadside emergency service and towing needs.